The living room is the home’s main reception room, the place that guests see when they come to visit, so it is important that it presents an image that shows the host and family off at their best. However, it also has to be a functional place, as it is the main area for a family to relax and socialise. 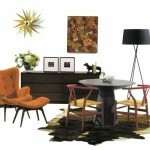 The first thing to decide upon is the colour palette for the living room. This will depend on the size of the room and how much natural light it gets during the day. Sunny rooms can take darker wall colours, while darker ones will need lighter colours to open the room up. 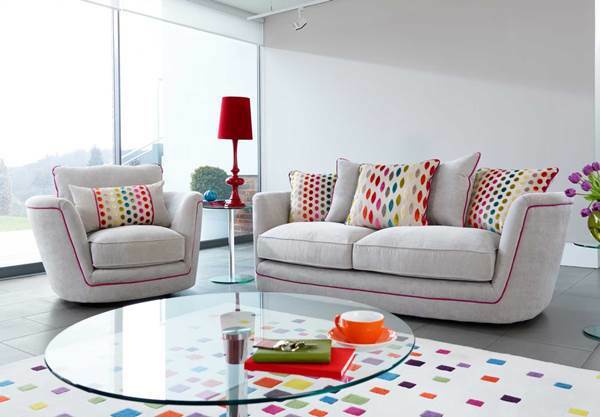 A modern, contemporary interior will use bright colours, although the stronger shades need to be used in moderation. 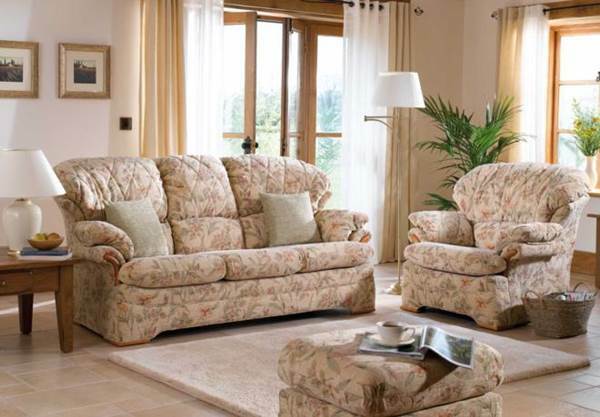 A more traditional interior will utilise earthy, natural colours, such as browns and creams. Use patterned wallpaper in recesses and alcoves to contrast with the plain painted walls, but make sure the wallpaper colours tie in with the general colour scheme. Carpet has the advantage of being relatively inexpensive and a good insulator, and is a good choice for a traditional room. Modern room design favours a hard floor, but in the absence of the original, a laminate wood-look floor covering makes an excellent and less expensive substitute. All hard floors should be teamed with a rug, whether in a traditional or modern décor, to absorb sound and inject some warmth. A room can be upscaled to appear more elegant by the addition of mouldings and trims. 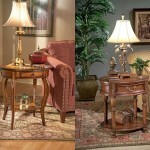 These are more suited to a living room where a traditional theme is prevalent. Add a picture rail or dado to break the walls up, a ceiling rose from which to hang a chandelier, or some elaborate coving to draw attention to the height of the walls. 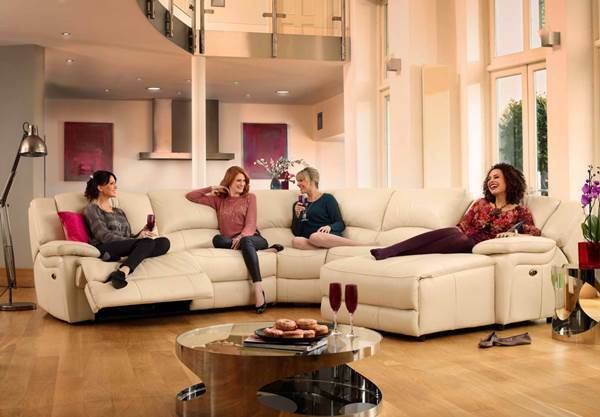 All living rooms should be comfortable, as well as presentable. 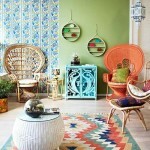 A relaxing, rather than a formal, living room, will also be more appealing and inviting to guests. A sofa and armchair combination is a minimum if space is an issue, but a chaise sofa or corner sofa could be an excellent alternative. 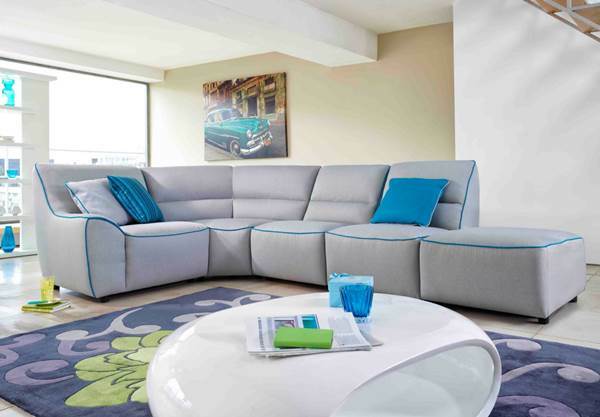 Place up against the wall or in the centre of the room to create a seating zone. 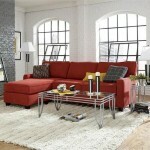 A brown leather sofa may be more suited to a traditional style, while fabric might be a better choice for a Modern room. 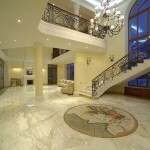 Different levels of lighting can help to add elegance. A central overhead light fitted with a dimmer switch will help to create a mood, while lower level lighting, such as wall lights or table lamps, will create ambient lighting. Colour accents can also be achieved with their shades and bases. In continuation of the comfort theme, place a floor-standing lamp near the sofa so that reading is easy. A large mirror, gilt or otherwise, will act as a focal point, and also help to reflect light back into the room. It is also important to include some storage furniture, so that the room can be quickly tidied up, should guests arrive unexpectedly.